Screening off plastic foils is one common process step used worldwide to remove these visual unwanted parts in the compost. 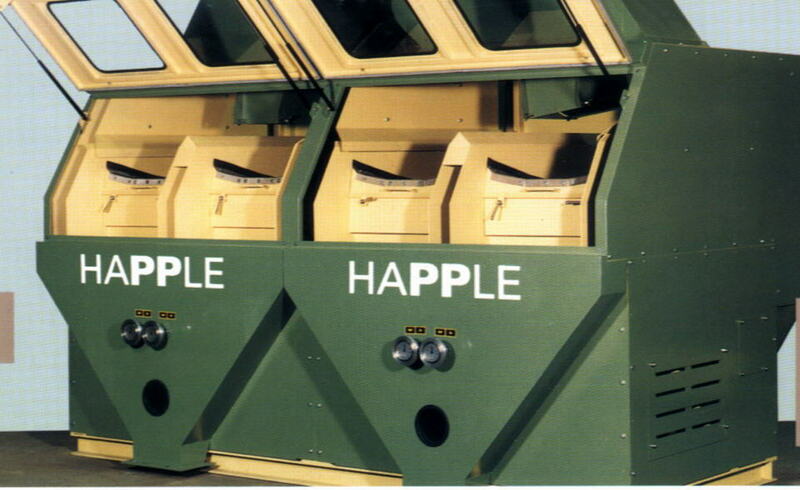 The separation of smaller unwanted components in the final compost product like stones, glass, plastic material foils and metal products can usually only be achieved by more sophisticated technology. 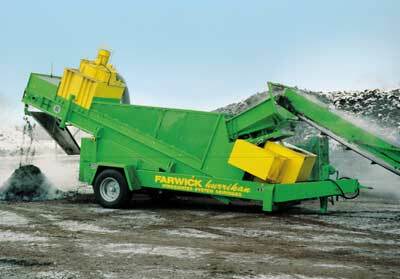 The compost separator is the heart of a sophisticated compost refing unit. Via the product inlet the compost enters the feed device. The product is is distributed on the entire width of the machien and led onto the longitudinally inclined sieve. By means of the air stream aerating the sieve surface, the product is fluidized and separated according to its specific weight. 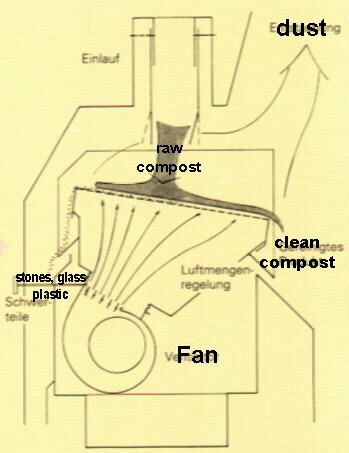 The light fraction (the compost) is moved to the lower edge of the inclined sieve and leaves the machine via the outlet for light fractions. The heavy fraction is moved to the upper edge of the inclined sieve. It leaves the machine at its respective outlet.